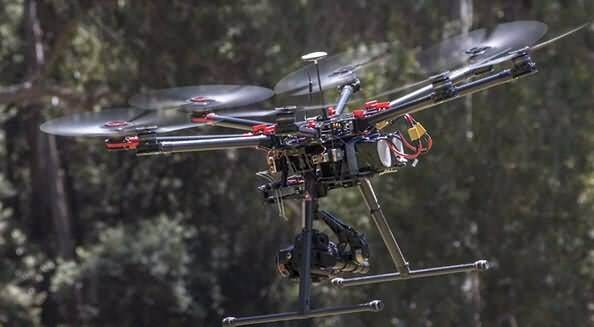 There is no doubt that people are using drones for art (photography and film making,) surveillance, as well as scientific research and development. However, they are also starting to be used in many, many other situations that need quad-copters capable of doing some serious heavy lifting. 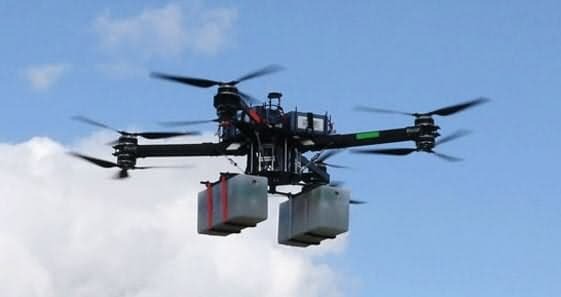 With this rising need of consumers needing more than just a flying camera at their disposal, the market for heavy lift drones is starting to reveal itself as a well-served market. This means you will need to know what you are looking for, as there will be many options laid out before you. Here are the best heavy lifting drones available in 2019, broken into over-10 kg and under-10 kg payloads. The Tarot T-18 Ready To Fly Drone might just be the ideal drone for those (professional or amateur) who are looking to take outstanding, aerial photography with a decent sized DSLR, thanks to its capability of carrying up to an 8 kg payload. 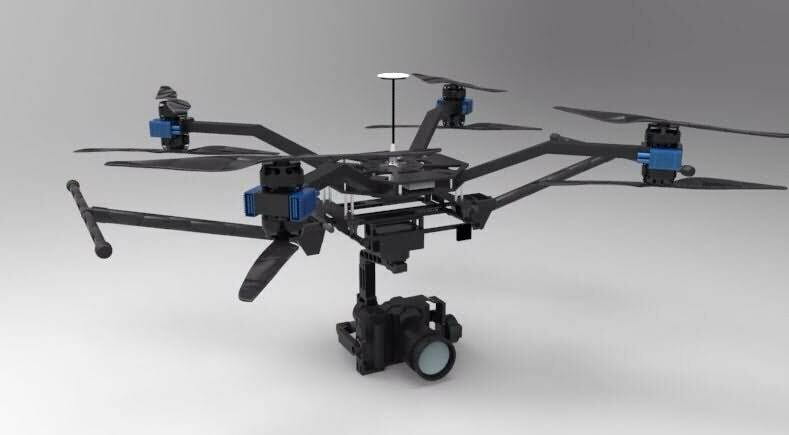 Thanks to the Tarot T-18's octocopter design, a heavy DSLR (or any other payload) will not cause stability or power issues that can come from single-, or even double-rotor drones. With a 20 min. flight time, the Tarot T-18 can be the perfect tool to add to any aerial photographers tool chest. 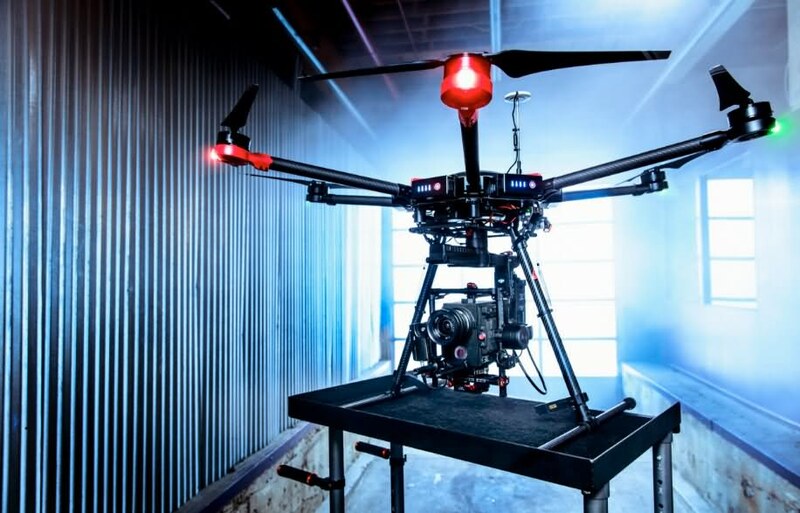 The DJI S900 weights only 3.3 kg, but can act as a heavy lift drone thanks to its ability to lift well about its weight with a payload capability of 8.2 kg. Because it is so light, but capable of working hard, this drone is the perfect piece of equipment for professional videographers or researchers to take with them wherever they are working. With a flight time of 18 min., the DJI S900 will also give you a large window of opportunity to make sure you are able to get the shots you need. The motor of the DJI S900 is designed in order to give you the best possible performance, as well as a reliable one. Know for being a safe, and stable drone, the DJI S1000 is also capable of being used as a light heavy lifting drone for those looking to push there outdoor discovery, and video shooting to the next level. With a 7 kg payload capacity and a 15 min. 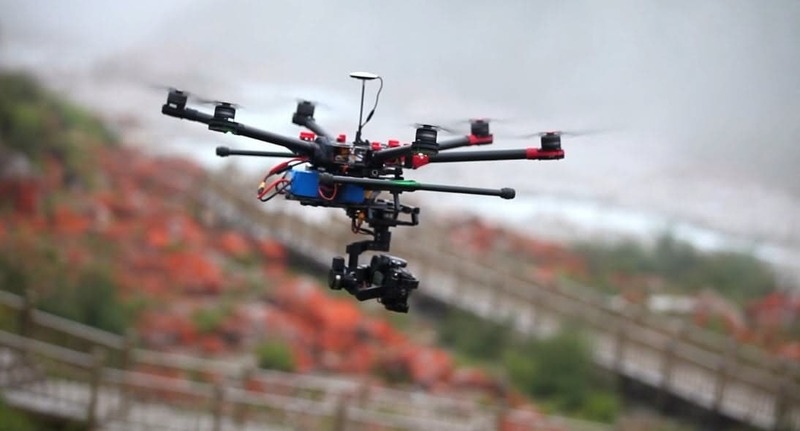 flight time, the easy-to-use DJI S1000 is perfect for professionals, as well as people who are new to drones. Thanks to the DJI S1000's dampening design you will be able to get better, clearer and sharper images thanks to the reduced vibration and noise. 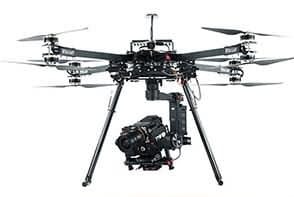 With the capability of taking off with a payload of about 6 kg, the DJI Matrice 600 is designed for pro video shooting, as well as industrial research, and imaging. Because this drone has the capability of being a heavy lift drone, it is the perfect tool for those looking to get the perfect shot indoors, or even outdoors. However, the DJI Matrice 600 can do more than just lift heavy, it is also capable of smooth flight, and has easy-to-learn handling, as well as a flight time of around 16 min. 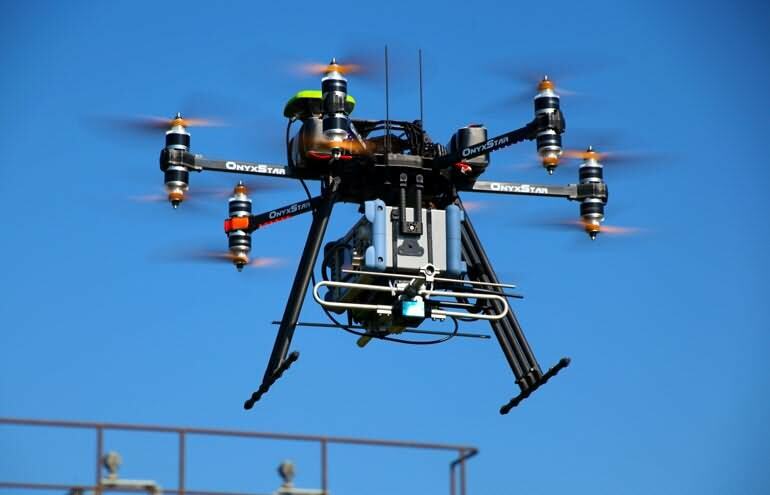 The DJI's Matrice 100 combines the benefits of an easy-to-fly quadocpter with the ability to deliver a relatively good sized payload of around 3.6 kg. The X-configuration of the drone provides the perfect support for the on-board 4K camera, as well as space to add a supported third-party camera (like a GoPro.) With a flight time of around 50 min., the DJI's Matrice 100 is the perfect tool for anyone who needs a drone that can handle slightly heavier lifts. The Airlift series is one of Vulcan's heaviest lifting drones to date. With the ability to lift and move a payload of about 30 kg, this drone has a tough, and durable frame that allows it to display such extraordinary strength and grace. Its central core is made of transparent tubes which allow users to easily check in on the power systems, while also making sure that all vitals are protected, which makes the Vulcan UAV Airlift the ideal machine for working in rugged environments. 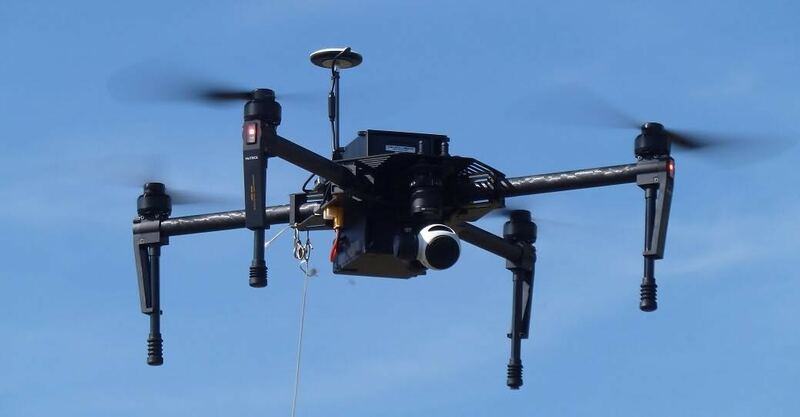 As the need for drones that can do some seriously heavy lifting has increased, the AZ 4K UHD Camera Drone Green Bee 1200 has stepped up to fill these needs. Whether you are looking to do some heavy lifting in the realm of photography or cinema, or you need a drone that can move your research and development technology around your indoor or outdoor work area, this drone has you covered. With the ability to carry a payload of up to 20 kg, and a flight time of 20 min. per battery, the AZ 4K UHD Camera Drone Green Bee 1200 is going to allow you to master any heavy lifting work situation with ease. The Vulcan UAV Raven is an absolute workhorse of a multicopter. Purpose-designed to be able to handle the toughest of jobs, this drone is capable of carrying a payload of up to 20 kg thanks to its high-grade carbon fibre and aluminium frame. This tough design is also one of the most safe drones on the market, as the Vulcan UAV Raven is built to be able to survive within the tough, and demanding worlds of both commercial and personal usage. Building off of an already sturdy line of drones, the Freefly ALTA 8 is the perfect drone for those who demand a lot out of their tools. 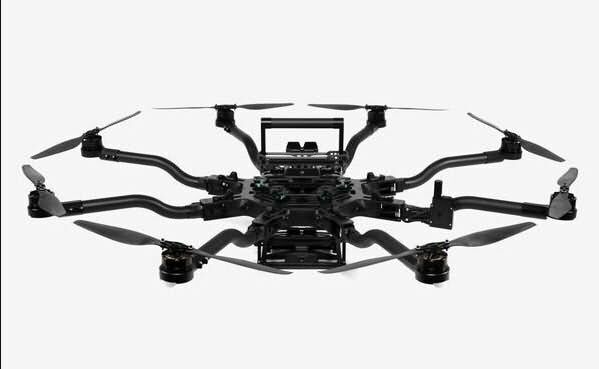 Perfect for carrying large cinema payloads, the Freefly ALTA 8 can be unpacked and ready to soar in under 5 min., and has a flight time of about 16 min. when weighted down with the full capacity of an 18 kg payload. 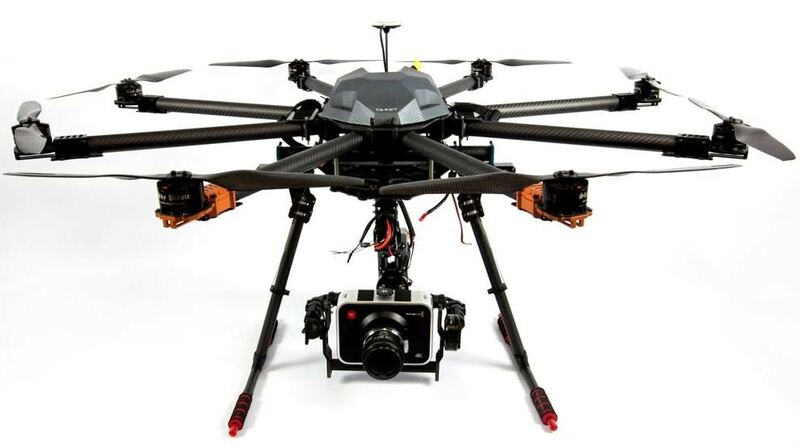 This drone will allow you to smoothly fly your payloads confidently and with ease. The HYDRA-12 was purpose-designed to be able to help you handle heavy payloads with absolute ease. Thanks to its 12 motors, this drone is capable of carrying a payload of up to 12 kg effectively and smoothly. Thanks to the HYDRA-12's ability to carry heavy payloads the possibilities for this drone are nearly endless. What is impossible for many drones on the market, the HYDRA-12 will do with great ease. And with a 30 min. flight time, you will have a lot of time in the air to get your job done.